Way to go fans. Nothing like being positive for your team. Tell me where I can send $. This is great news and things at Athletics are going great in many areas. Not sure however why we can't let RV stay out of these conversations. He did many good things over his time at UNT and some that some disagreed with. That being said there is no need to continue to bash someone over disagreements we had in the past. 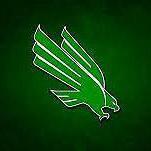 RV moved on but is still active and supporting and a real fan of UNT. Move on Guys!!!!! Great for Sebastian and also Carlos Ortiz came in at -3 and made the cut!!!!!!!!!!! 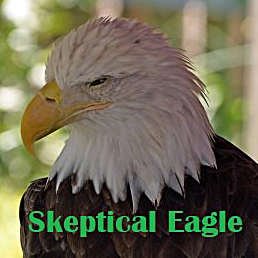 MeanGreenTexan your facts are absolutely correct but it seems some that do not know the facts only speak from rumors. Perhaps the banner made some on this board feel really good. The truth is it had nothing to do with change of leadership in the athletic department so don't try to take credit for a non event!!! That was not a good time for the University and it is probably time for ALL of us to move on to a positive future and be thankful for the good things that have happened over the years. PLEASE !!! You know that is all BS, stated as fact. Would be nice to stay on current events since we have a lot to be proud of. Yes it is time for Fouts to go, but with it will go many wonderful memories from hundreds of Athletes. The great track teams that NT has had in the past, the hundreds of football players, some who went on to the pro leagues that made Fouts their home since the 50's. The great Coaches that have passed through those gates that taught young boys to become good men. To all those people Fouts served its purpose at the college level. Fouts also served many young athletes in High School during the 50's and 60's when going to Denton to run on a good cinder track was a great experience. As one that had that experience in the 50's and also had the opportunity to play football at NT in the 60's, even though it was not much compared to today, during those wonderful years it did a great job for all those that had the opportunity to step foot on its turf. Yes it is time for it to go, but history should treat it well. Good post Mr. Campbell except when you got to the last few words about the previous administration. We all need to realize that without the previous administration there would be no need for the blue lot as we still would not have had a new Apogee Stadium. Things have changed and the current administration is doing a great job. Perhaps it is time to be positive about where we are and to be thankful for all those that helped us get there. Some of you that are discussing the lack of Liberty University quality and think they should not be on our schedule perhaps should take some time and review the University on their Web page and also detail their roster. We may and I hope we are able to score many points on them and hold them under two TD's. However, they are now and will be a good football team in years to come. I know our team will take them seriously.